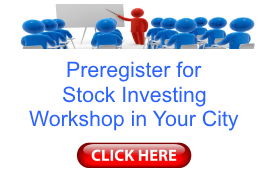 What weights to be given to different parameters in the checklist for buying stocks. In previous articles, I have provided readers with key takeaways in form of crucial parameters that an investor should use while analyzing stocks. 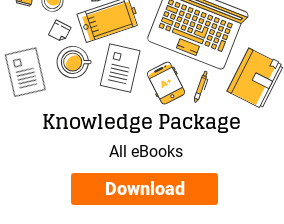 Articles on financial analysis, valuation analysis, business & industry analysis and management analysis contained summary checklists that can be very handy for any investor. In the current article, I have compiled at one place the parameters that an investor should check each stock, before investing her hard-earned savings. This article can serve as a final checklist for buying stocks for any investor, which will become very useful while doing detailed analysis of stocks. 1 Sales growth CAGR >15% for last 7-10 years Growth should be consistent year on year. Ignore companies where sudden spurt of sales in one year is confounding the 10 years performance. Very high growth rates of >50% are unsustainable. 3 Tax payout >30% Tax rate should be near general corporate tax rate unless some specific tax incentives are applicable to the company. 7 Cash flow CFO > 0 Positive CFO is necessary. 6 Dividend Yield (DY) > 0% Higher the better. 4 Project execution skills Green/brownfield project execution Company should have shown good project execution skills with cost and time overruns. Exclude capacity increase by mergers & acquisitions. 1 Product diversification Pure play Company should be either a pure play (only one business segment) or related products. Pure play model ensures that the management is specialized in what they are doing. Entirely different unrelated products/services are a strict NO. An investor should rather buy stocks of different companies, if she wants such diversification. 2 Govt. influence No govt. interference in profit making No cap on profit returns or pricing of product. No compulsion to supply to certain clients. 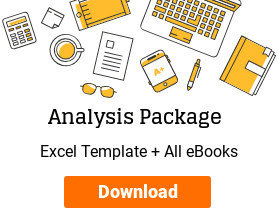 To see a live example of analyzing a stock on this checklist for buying stocks to determine whether the stock has the qualities of an investment-worthy stock, you should read: Equity Research – Ambika Cotton Mills Limited. In this article I have analyzed Ambika Cotton using the parameters listed above. Investors should always keep in mind that, no checklist for buying stocks could ever be complete for doing stocks analysis. However, the parameters in the above checklist test any company and its stock on some of the tough performance parameters. Hence, an investor can be reasonably certain that the stocks, which pass the above checklist for buying stocks, will have sound fundamentals and are available at reasonable valuations. If she diligently follows these parameters, invests only in stocks that promise good fundamentals and never overpays for them, then she can be reasonably certain of good returns from her portfolio over long term. Temporary periods of stock price fluctuations, business cycles where even good companies would not be able to maintain sales growth & profitability, would definitely come in between. However, the investor should keep her patience and not act on impulse and stay invested in a company until the time inherent business strength of the company is intact. She would reap great benefits of such investing behavior. No checklist for buying stocks is paramount. Hence, an investor should not restrict themselves to the parameters mentioned above. She should read further about investment analysis and add/remove parameters from the above list as per her understanding. Let us now address the key queries asked by investors about the checklist for buying stocks, which are essential for further clarification on the use of the checklists. What to do when no company meets all the investment checklist parameters? 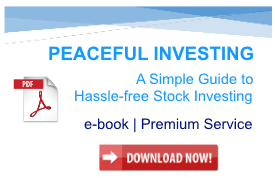 I read your e-book “Peaceful Investing: A Simple Guide to Hassle-free Investing”. It is a very nice work. For investments, it is very difficult for a single company to fulfill all parameter in the checklist. So please let me know your priority or the percentage weight on the parameters, which are most important and the parameters where you believe that some compromises can be made. If you have written an article on it, then please let me know. Out of the key analysis parameters: financial, business, valuation, management and operating efficiency parameters, if the investor wishes to relax, then the parameter, which may be relaxed is the valuation parameter. Retaining all other parameters indicates that the companies, which the investor will consider for investment, will have good fundamentals. However, an investor should keep in mind that by relaxing the valuation parameter, i.e. by investing at the higher price (high P/E ratio); the probabilities of future returns would be lower. Therefore, it may happen that the business of the company is doing good but the stock price is not moving higher because it had already reached a very high level when the investor initially purchased the stock. An investor should read the below article to understand the risks that she may face when she invests in companies at a high valuation. Therefore, an investor needs to tone down her future return expectations accordingly when she invests in stocks at a high price. I follow your blogs/tweets and have learnt a lot. You are doing a great job in educating people who aspire to be value investors. I saw your tweet where you had mentioned about promising stocks in 150/150 segment. I refer to the checklist for buying stocks that you had posted, which had the list of criteria’s one should look for when choosing a stock, esp. for long term investing (e.g. : PE ratio of < 10, Avg 5 yrs. Sales CAGR of > 20%, PAT margin > 10% etc.,). Thanks for your feedback & appreciation! I am happy that you found the articles useful! Thanks for asking the query on this section as here your query and its response would be helpful for other readers of the website as well. I have mentioned that 150/150 segment (₹150 cr. market cap / ₹150 cr. sales) has surprised me with promising stock picks. 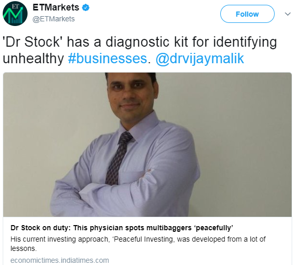 This is because whenever I have search for stocks, I noticed that most of the stocks meeting my criteria have been from this segment and have given good returns to me. Another point to be stressed here is that I do not specifically put filters of sales=₹150 cr. or market cap = ₹150 cr. while searching for companies. It’s just that most of the stocks that pass the filters are incidentally from 150/150 segment. All the criteria are equally important. No parameter is more or less important than other. An investor should analyse the stocks and satisfy herself on all the parameters. An investor should not ignore any parameter. It might be difficult/time consuming to find stocks meeting all the parameters. 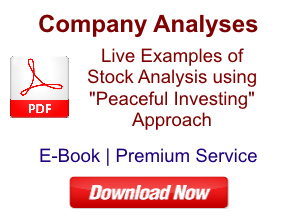 However, an investor does not need to find hundreds of stocks meeting all the parameters. Finding one or two stocks in a year, is good enough. However, once an investor has spent enough time in the market and has analyzed many companies, then she would have formed her own approach to stock investing. She would have created her own set of criteria to select stocks which would suit her investing style and temperament. Then she would realize that her criteria might or might not be same as the check list shared by me on this website. Hope it clarifies your concerns. Do a high FII shareholding and the presence of multiple business segments make a company a safe bet for investors? 1st is FII shareholding: Most of experts and the available information on the internet claim that a higher foreign institutional investor (FII) holding means that a stock is good stock. This is because, the FIIs do better research than retail investors. So it is a safe bet if FIIs are increasing stakes in a particular stock. 2nd is diversification: Pure play company is a good bet to rely on. However, if a company has a diversified business, then it is unlikely that all of the diversified products would have negative returns at any one point of time. Therefore, the safety increases with diversified products as they won’t witness a fall in sales at the same time. Thanks for writing to us and sharing your inputs. We do not believe that as a rule all the FIIs do a better research than retail investors. We believe that the quality of research work in both the segments of FIIs as well as retail investors vary across a huge spectrum. Effectively in parts both FIIs as well as retail investors do quite good research. However, simultaneously, we notice that many times the quality of research work by both FIIs as well as retail investors leave a lot to be desired. Therefore, we do not believe that a mere presence of an FII indicates that the company/stock is a safe bet. We believe that investors should take investment decisions based on their own research and not rely on inferences from presence of FII shareholders in any company. the presence of multiple pure play business companies in the portfolio. However, out of these two scenarios, we prefer (ii). This is because it is simpler and easy to analyze and understand a pure play company. Analyzing a company, which has many businesses becomes difficult as we find it comparative difficult to understand all the parameters, which may influence its business. Therefore, we prefer to get diversification benefits in our portfolio by investing in many pure play companies, which are simpler to analyze and understand. I would like to know how you felt while reading this series “Selecting Top Stock to Buy”, your experiences of stock markets, the checklists you follow, parameters you find paramount for analysis and any other inputs that you believe would improve the blog & its articles. You may write your inputs in the comments below or contact me here. PrevPrevious ArticleWhy Return on Equity (ROE) is not meaningful for Stock Market Investors!